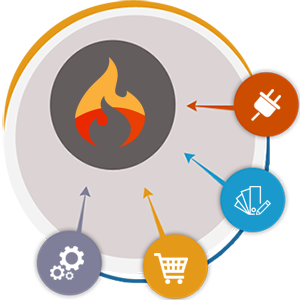 OpenCart is very popular open source content management system used in augmenting eCommerce website experience. As compared to other platforms, OpenCart is much easier to set up and maintain. With plethora of CMS systems available in market, it is very essential to chose the best one as per your business specific requirements. WebAppMate team of eminent, highly skilled and proficient developers offers you wide experience in various CMS platforms to select the best one as per your needs. We use assortment of technologies leveraging best of hardware available and required keeping the solution affordable and at best prices for clients. Along with affordability, we also focus on quality of products ensuring flawless solutions.